This book is for tough people! For those who love so much that they are not willing to be beaten or let go easily without putting up a good fight! Are you tough enough for what is inside this book? You will know! What do you love to do most? How much do you love doing it? And, how tough are you when it comes to the things that you love? Are you vulnerable because you love? If you stand your ground for what you love, this book is for you! Throughout this book, you will learn skills that can be used to persuade others to believe in what you love. These are skills for those who want to create a change of belief in others, and have others believe like you do. This is not an easy book to read, but it will earn faster and easier results! This is an advanced method of sales and persuasion, and even when you think you know, no matter how long you’ve been in sales, you will gain eye-opening information that will serve you in all aspects life. 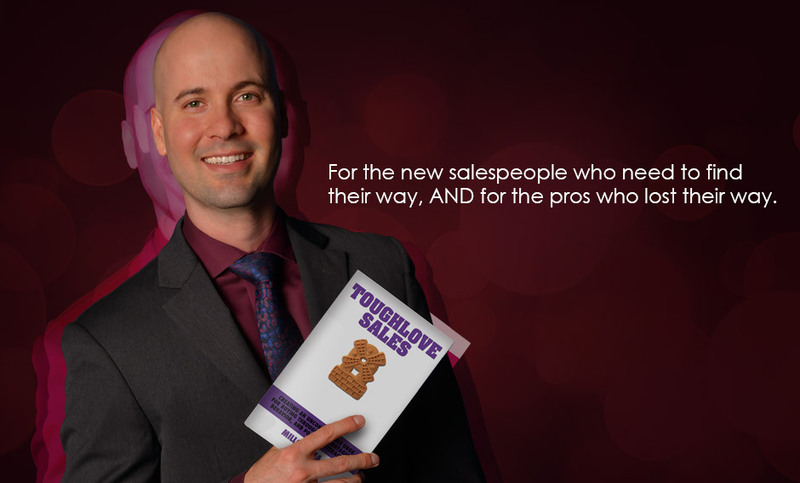 Toughlove Sales opens your mind, strengthens your skills, and reveals results in a way that people are effectively persuaded today. Do not open this book unless you are willing to handle learning effective methods of getting people to buy.